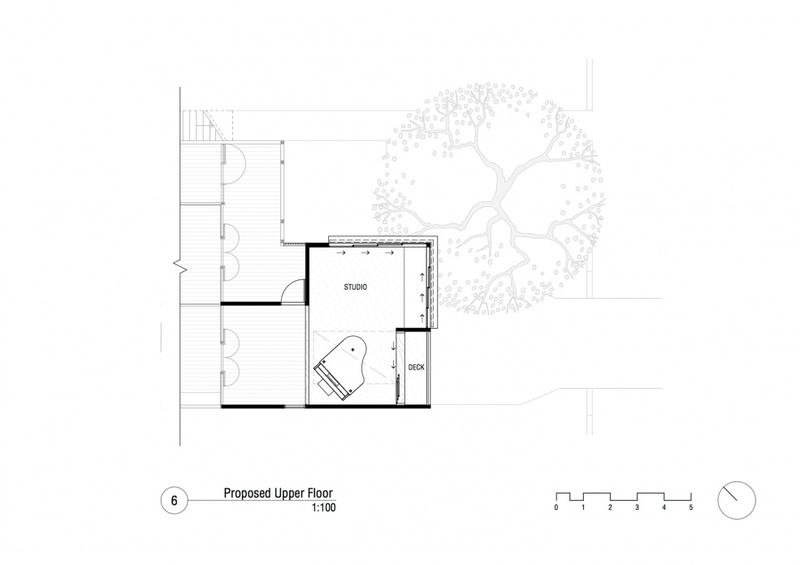 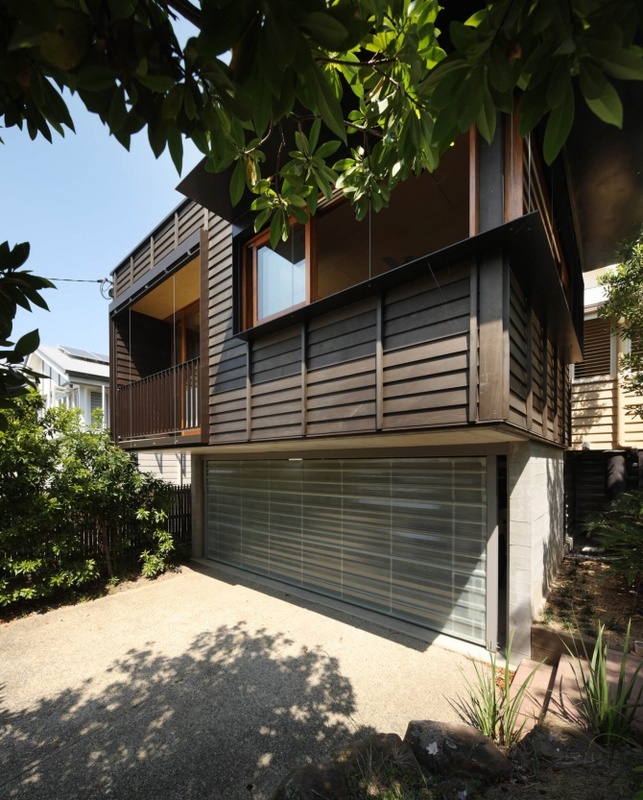 This brief for this addition was to utilise the large setback zone of the existing house to create a double garage with a studio space over for a home office and piano. 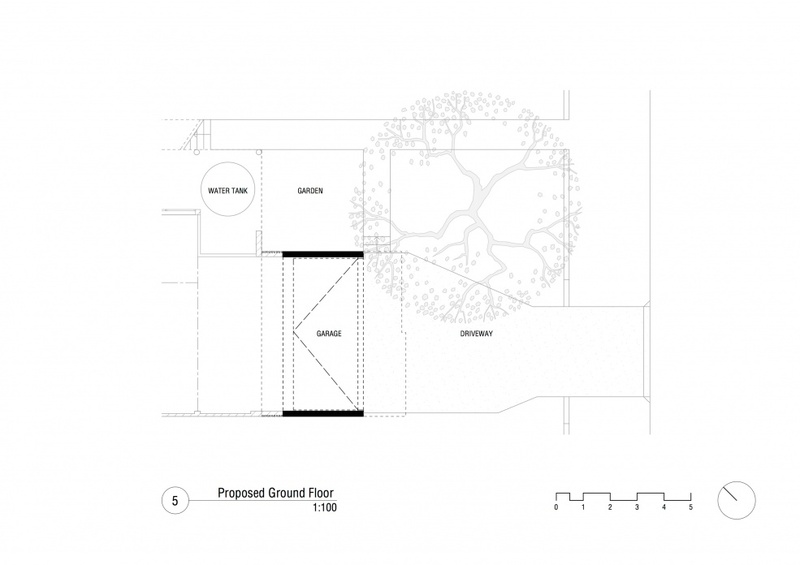 The client was keen for the space to have a direct engagement with the life of the street at the same time as addressing security issues as needed. 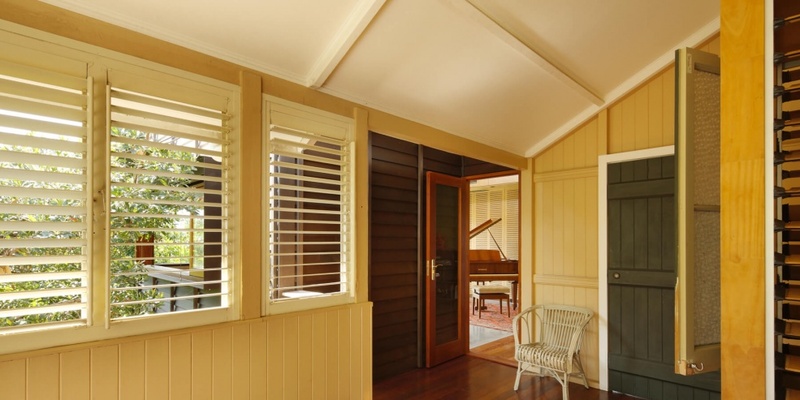 A small balcony achieves this with external venetians providing the means to tune up the level of privacy, eastern sun control and security. 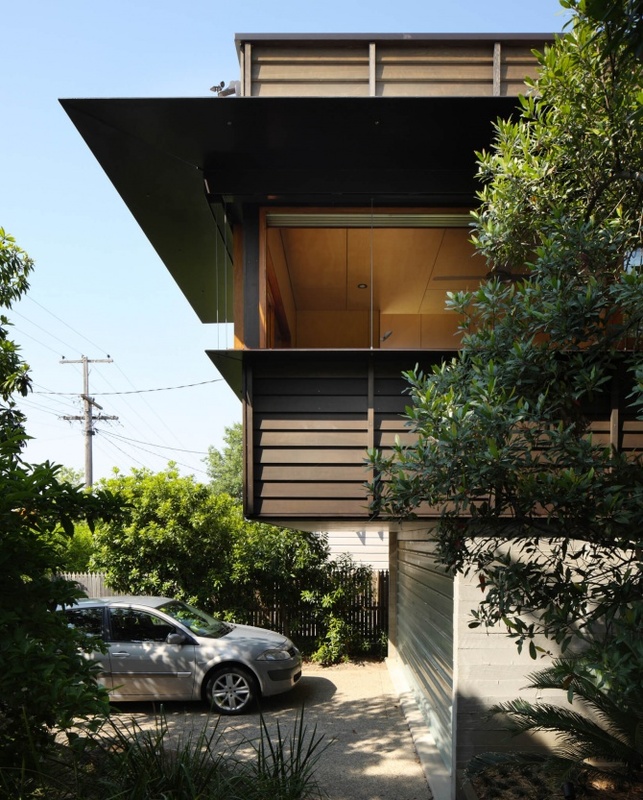 This ability to open up and close down the studio animates the façade and connects the internal life of the house to the public life of the street. 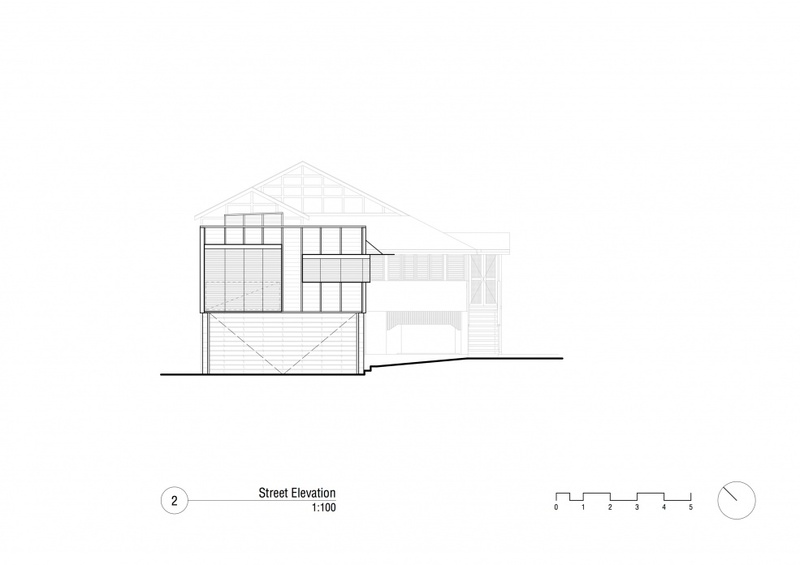 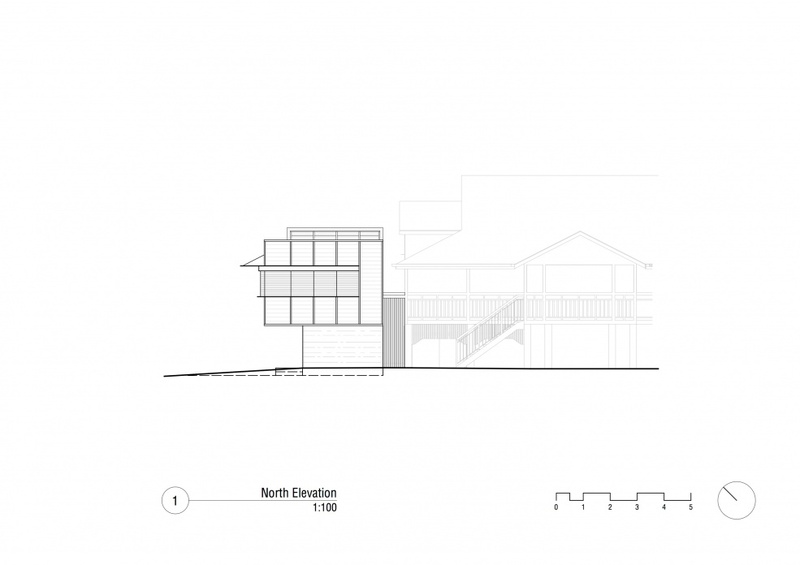 The addition was placed in front of the rather ungainly existing gable elevation and sought to be both of its time while respectful to the existing house. 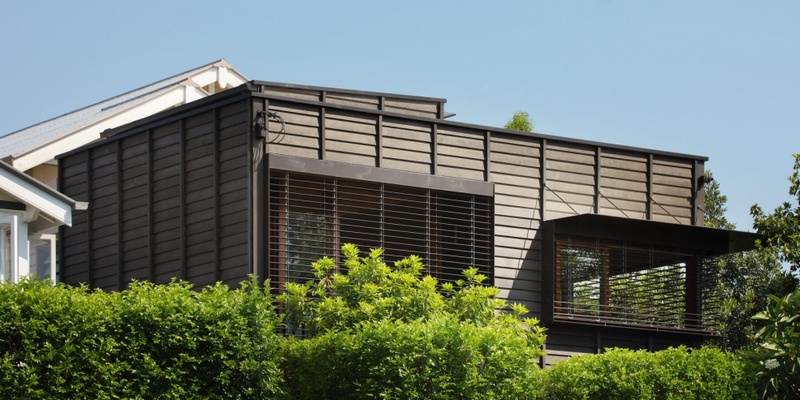 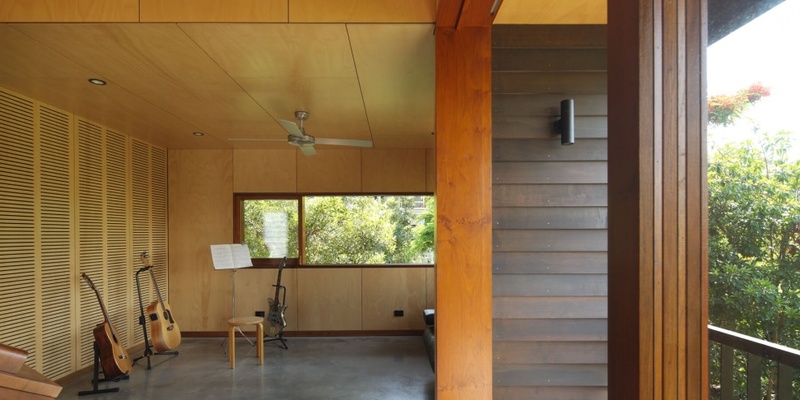 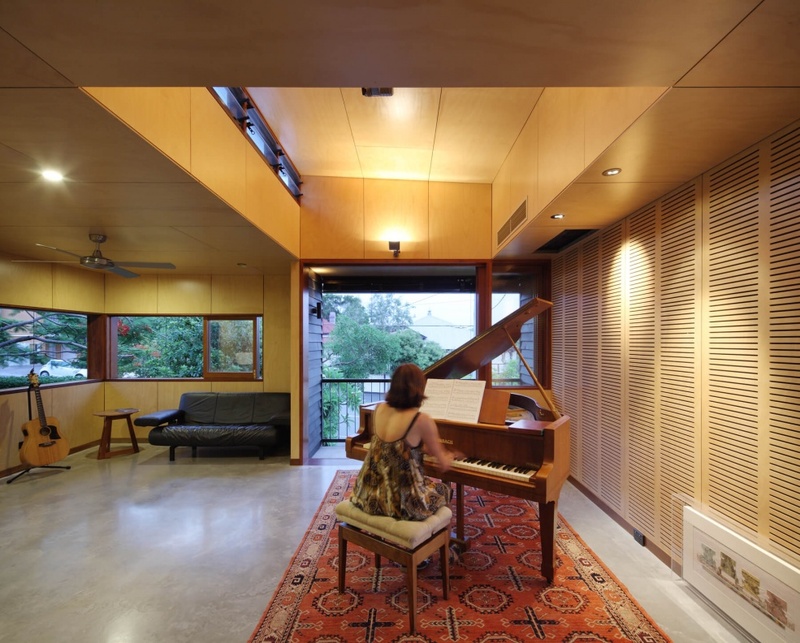 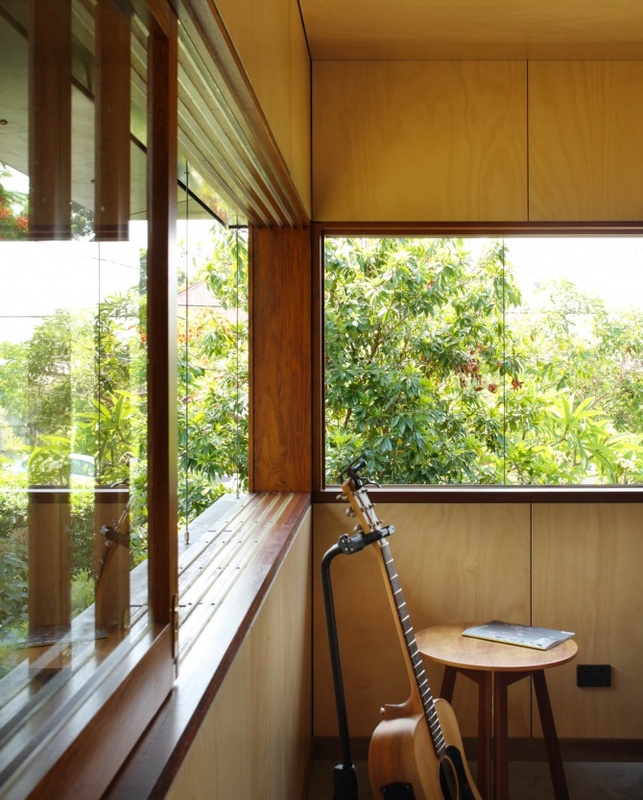 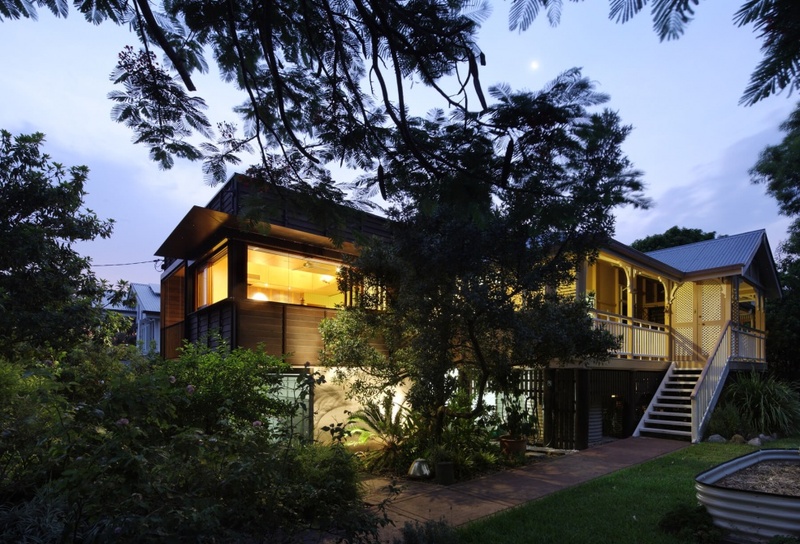 Cedar weatherboard cladding to the studio level was selected accordingly with a dark stain applied to recede the structure into the enveloping trees adjacent. 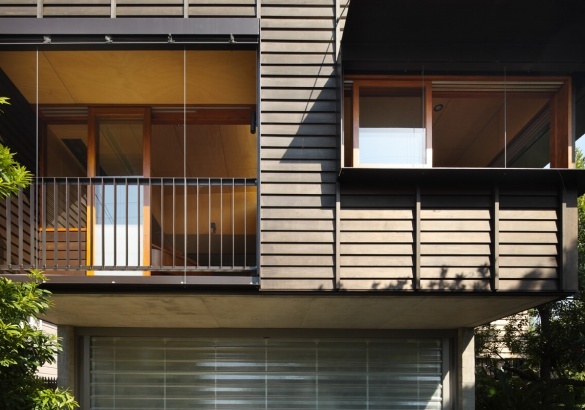 Insitu concrete walls flank the garage door with timber grain imprinted by the boarded shutters again to provide a material richness and appropriate scale. 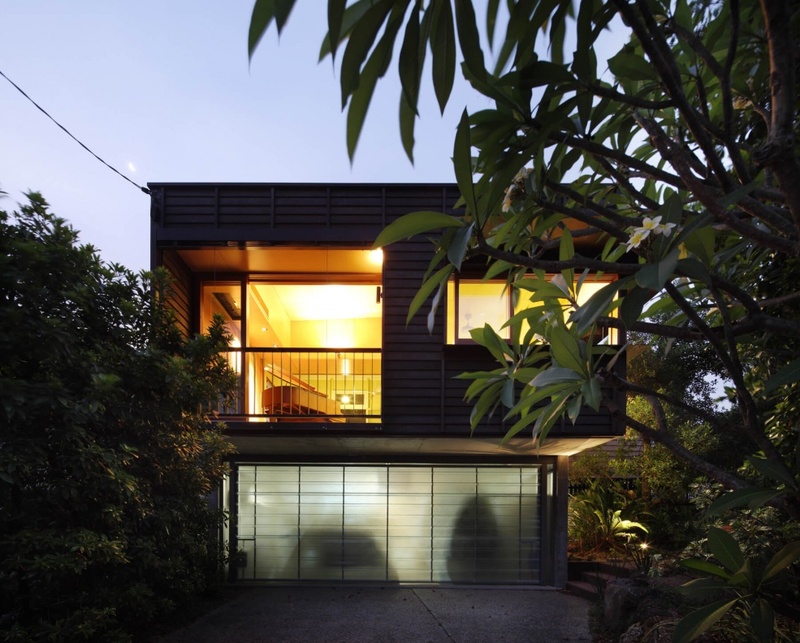 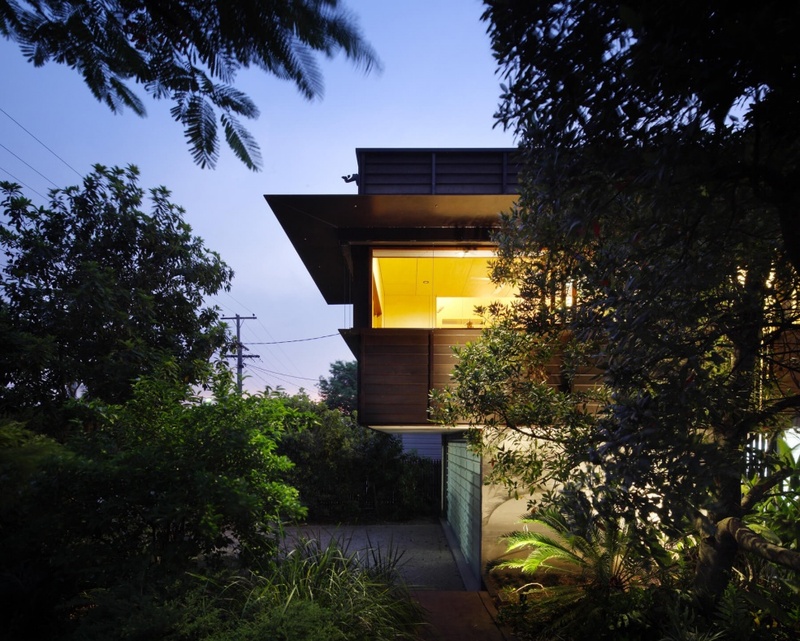 The translucent fibreglass garage door gives depth to the elevation and glows at nighttime.